BTR works on all makes and model trucks. And we can fix just about anything. Still, our biggest concern is to prevent repairs. We want to keep small problems from becoming big problems. This means Preventive Maintenance (PMs). Many companies put it off, but Preventive Maintenance will help you keep your expenses down and your product flowing. 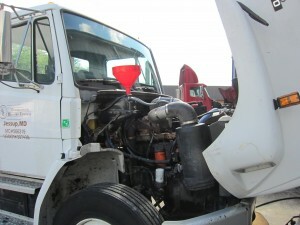 Bring your trucks in and we will get you setup in our Preventive Maintenance System. Our system will track your PM and let you know when your next service is due. Your best option is to let us prepare a more formal Preventive Maintenance Program for all your trucks. Then give us the go ahead. We will contact you by email or phone any time our system tells us that your trucks are due for service. You might at times think we’re a pain. But you’ll thank us for it in the long run. By the way, Preventive Maintenance is not just fluids. If you are getting a service truck to come out to your site to keep your fluids in line and change a few filters, we applaud you. Let us show you the difference between an oil/filter change and a true PM.